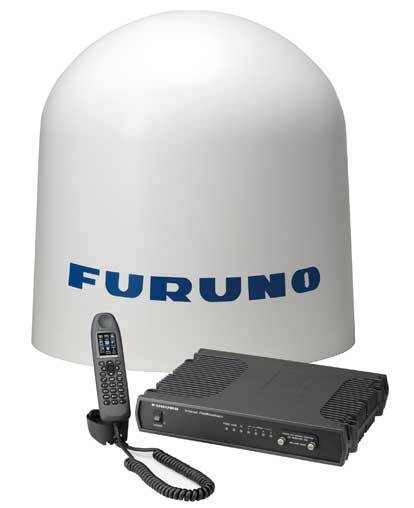 FURUNO’s Inmarsat FleetBroadband FELCOM 500 delivers faster, more cost-effective solution to maritime broadband data and voice communications on a global basis. Once installed, FleetBroadband will turn a ship into a broadband floating office where constant, simultaneous access to voice and multiple high-speed data services are available, transforming access to data at sea. Designed for maximum ease of use, the JUE-33 Fleet 33 is fully compatible with Inmarsat’s FleetBroadband service and can easily be upgraded by replacing the main unit. 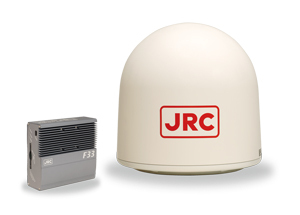 Incorporating the industry’s smallest antenna and the latest interfacing standards, the JUE-33 Fleet 33 delivers crystal-clear voice communications, effective data throughput up to 40kbps and fax transmission. JRC offers the world’s first Fleet mobile terminal with an Ethernet interface as standard, which, with the other available options, allows for the most flexible on-board networking. 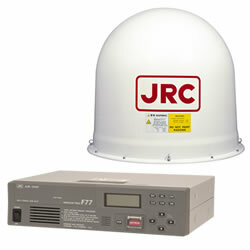 The JUE-500 FleetBroadband FB500 is latest-generation maritime communications solution from JRC. It provides simultaneous access to voice, high-speed data, email, fax and SMS messaging. Easy to install, with the antenna set inside a compactly designed radome cover, ranging just over 60 cm and compact below terminal, finding a space on your vessel for your FB500 shouldn’t be a problem. FleetBroadband for reliable high-speed IP communication. The next generation of satellite communication with seamless coverage based on Inmarsat services. Life at sea mirrors more and more the everyday life ashore when it comes to communication. Why settle for less on sea than at home? Now you can look after your business in the middle of the Caribbean Ocean. For the first time in history it is possible to get affordable IP communication on board. With SAILOR 250 FleetBroadband the possibilities are endless, only your imagination sets the limits! The crew will love it. And the ship owner will need it, saving both time and money enabling voice and data simultaneously. Seafarers are highly skilled professionals who expect to be able to stay in touch with friends and loved ones. Ships are becoming an integrated part of the office infrastructure, raising demands for better data rates and improved connections. For the first time in history it is now possible to get affordable IP communication on board. There is no doubt that the state-of-the-art technology of SAILOR 500 FleetBroadband’s will take seafarers into the world of broadband Internet and standard IP applications. The SAILOR Fleet77 communications terminal from Thrane & Thrane offers high-speed and cost effective voice and data communication. It is a veritable satellite communication powerhouse. It offers seamless global coverage from 78° north to 78° south, so you have access to all the Fleet77 services, including voice, 128 kbps ISDN data, high quality audio group 3 fax and Global Voice Sistress no matter where your route may take you. Whether you are on a yacht, a shipping vessel or a fishing boat the SAILOR TT-3064A mini-M will cover your basic communication needs. The SAILOR TT-3064A mini-M is the perfect communication tool, handling telephone, fax and e-mail. Professional users can always rely on the SAILOR mini-M for communication with the home office, inventory and weather reports, etc. With the SAILOR mini-M, worldwide communication is made simple and cost-effective. The SAILOR mini-M operates within the Inmarsat spot beams, which cover all coastal waters and most maritime routes. The lightweight and compact terminal is perfect for small and medium sized vessels with basic communication needs.